If I received a dollar for every time I heard or read the term “sustainable,” I could probably make a living just walking around Boulder and reading the blurbs found on grocery store walls and restaurant menus. But what does sustainable truly mean in the context of food? For some, sustainable food would entail utilizing land without sacrificing the growing potential for the future (over-fertilizing, depletive use of water, etc). Others would stipulate that the distance between the point of production and consumption needs to be kept to a minimum. For some, even though it requires more land and effort, animal welfare is essential. And still others, including the chemical engineer inside me, would seek to maximize the energy return on investment (defined as the energy yield divided by total energy input). All of these approaches (and many more) are valid and inextricably linked, but our experience tells us that this is inherently expensive. But does it have to be that way? 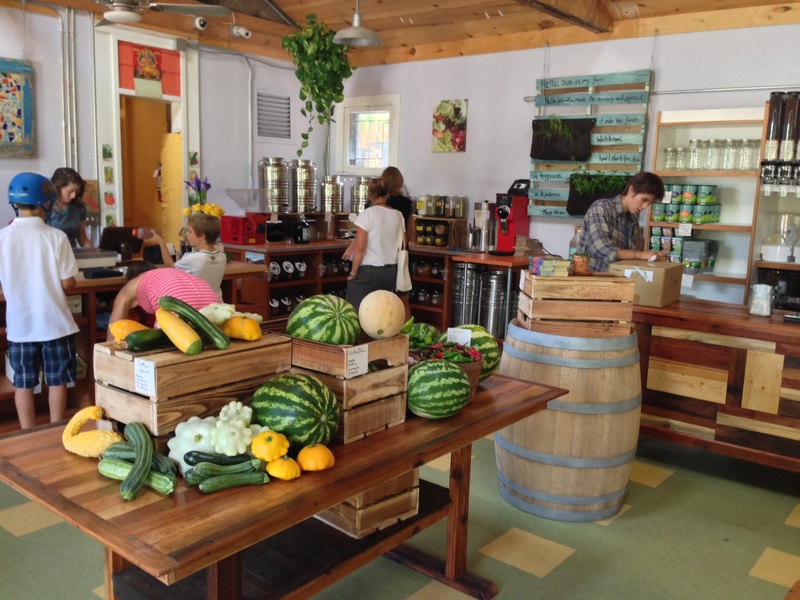 Two weeks ago, Boulder’s newest food co-op, The Second Kitchen (TSK), opened to the general public in the space previously occupied by Delilah’s Pretty Good Grocery and I had the opportunity to visit them on their first day of business (Thursday). To be fair, it was truly a soft opening, as they were continuing to receive deliveries and informed me that they had two palettes of product that was yet to be displayed. It was clear that much work was to be done, but I still had the chance to talk at length with two of TSK’s founders, Sara Brody and Beth Burzynski. Sara estimated that about two-thirds of their inventory was on display. The first thing you notice upon entering their new space is that they have completely removed the convenience store vibe that characterized Delilah’s. Instead, they have managed to create a rustic feel without sacrificing functionality. All of the tables and barrels used to display their products can be easily moved out of the way to make room for events in the space. For now these events include orientations for new members and meetings, but Sara informed me that once things have settled down a bit, they they intend to offer classes in this space. The second thing you notice is the innumerable amount of canning jars that are stored above the refrigerated section. Since local sourcing of products is such a key part of TSK’s mission statement, it seems only natural that these are Ball jars. TSK encourages its patrons to store any bulk goods, tea, olive oil, etc. that they buy in these reusable containers, as opposed to additional plastic bags. While it may seem obvious to do this, it is a nice touch. For TSK, it is clear that the only thing more important than locally-sourced goods is ensuring that the farmers are abiding by the absolute highest standards for their produce, dairy, and meat. The founders clearly make a devoted effort to regular visit these producers in order to see their practices first-hand. Some of these products will seem common (Organic Valley for example), but it is clear that they were chosen for their nearly unmatched ethical standards for raising their dairy cows. Not only this, but TSK ensures that the products are sourced from the Rocky Mountain Region, as opposed to Organic Valley’s HQ in Wisconsin. This extreme selectivity in product choice is reflected in all of TSK’s products- Hazel Dell mushrooms, Haystack Mountain goat cheese, Jodar Farms eggs, etc. However, the real surprise to me was the pricing. All of their products had two different price points- one for non-members and one for members. Take the beautiful flat-leaf parsley that they had. As a non-member a bunch would cost me $0.94 (member price is $0.79). I typically see parsley at Whole Foods for $2.39-2.99/bunch. Eggs were $6.64/$5.00, again comparable to Whole Foods. Shittake mushrooms, per pound, were $9.80/$9.45 (WFM: $12). With the exception of some of the meat products, I found the pricing to be significantly below what you would find at any local grocery store, even if you are not a co-op member. Finally, for those of you who are cycling enthusiasts, I challenge you to find a place that offers Skratch Labs hydration mix as cheap as it is at TSK ($15.60/$13). Given that the member price is typically 20% lower, it would not take long to recoup the cost of membership if you shopped at TSK regularly. At the time I visited on Thursday (which was approximately 4 hours after opening) TSK had added 30 new members to their ranks. 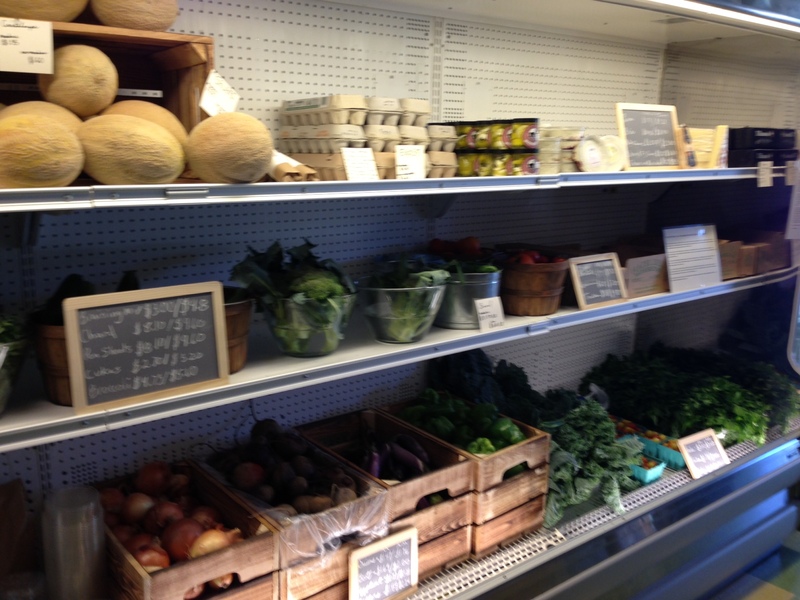 So returning to our earlier question- does sustainable food have to be more expensive? Check out The Second Kitchen. If you are a cynic like me, the answer will surprise you. Previous Previous post: The Goat Had a Baby!